WWE Smackdown Live ratings are in for May 15, 2018. This week’s episode from London, England drew an average of 2.29 million viewers on Tuesday night according to a report by Showbuzzdaily.com. This is the same as last week’s show that drew 2.29 million viewers. WWE came in at No. 4 for the night on cable for the third week in a row. The NBA Playoffs dominated the night on cable once again drawing 8.22 million. 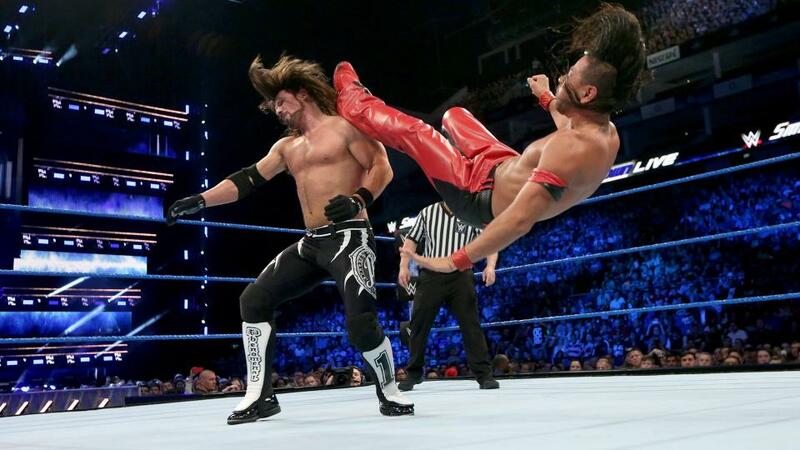 Smackdown, headlined by AJ Styles vs. Shinsuke Nakamura, averaged a 0.70 rating among adults 18-49. This is slightly down from last week’s 0.71 rating.